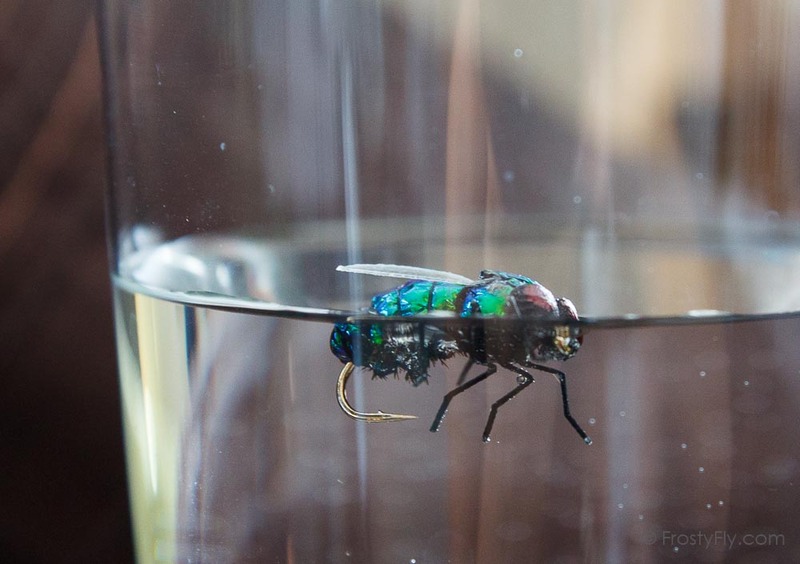 Remarkably realistic green bottle fly – looking as a live one! 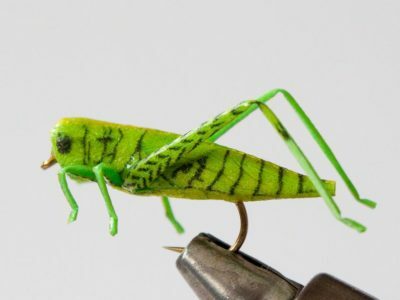 Superior details mimic the real insect so well – the fish will not know the difference. Extra effective – will produce many big strikes during summer months! Choose from 2 hook sizes: #10 and #12. 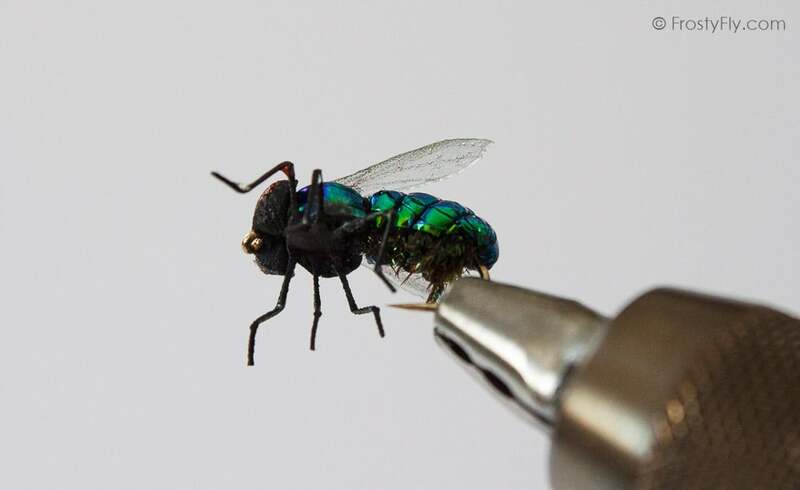 Realistic Green Bottle Fly is an amazingly looking fly that imitates the real insect so well that the fish will not know the difference. 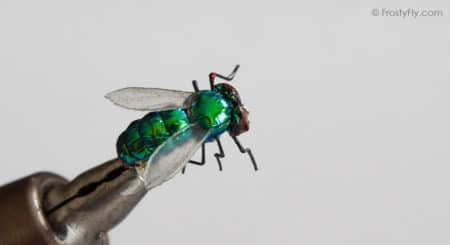 It has the shape, the appearance (including the clear wings and big red bulging eyes) and the famous shiny green, metallic color of the real green bottle fly. 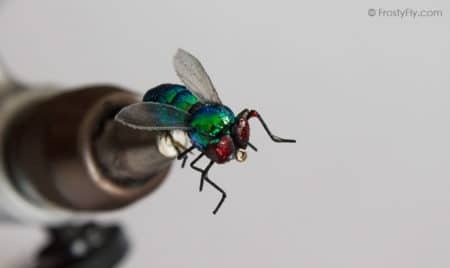 The fly was tied using high quality, floatable and light material that has just the right weight so when they hit water, the way they float emulates the real insect accurately. The flexibility and design of the wings and legs add the crucial movement to the fly when in water. The realistic look of this fly provides that imperative advantage when fishing this fly pattern. 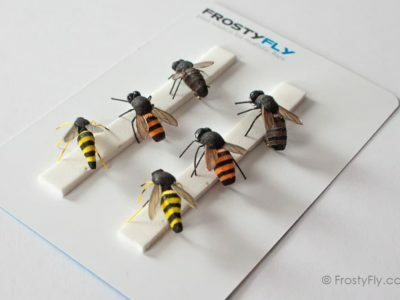 The material is super sturdy – these flies were tied to last and will withstand many takes. These Realistic Green Bottle Flies are highly effective – will definitely bring some big strikes! Comes in 2 hook sizes: #10 and #12. Check out our green version of this fly – Realistic Blue Bottle Fly here. 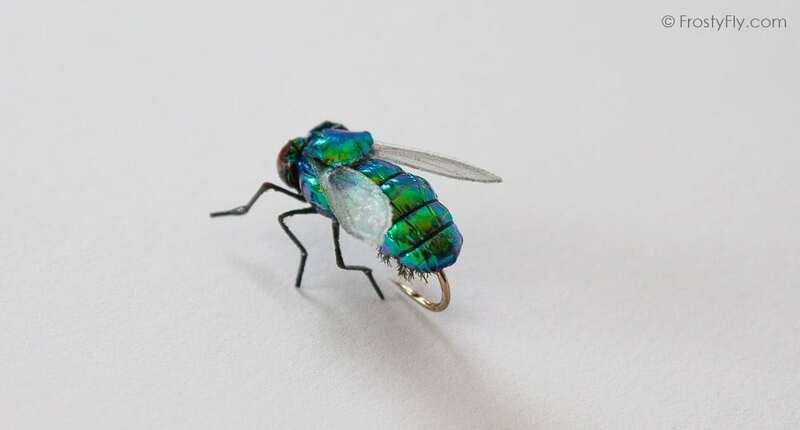 Green Bottle Fly (greenbottle) is a common fly also known as Blow Fly (Blowie). 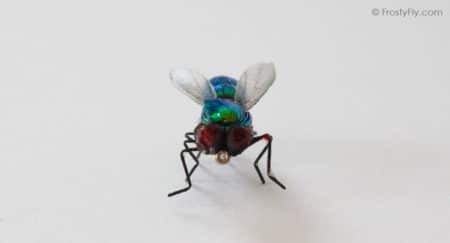 These flies are related to house fly but are larger in size – they grow to about half an inch length. What distinguishes bottle flies from other flies is their bright, shiny metallic blue, green or black color that covers their abdomen. Like other common flies, they have large eyes, one pair of clear wings and short antennae. These flies can be found anywhere, including farms, fields, woods. They feed on dead animals, excrement and open wounds of living animals. They also feed on flowers, eating nectar and pollen,. 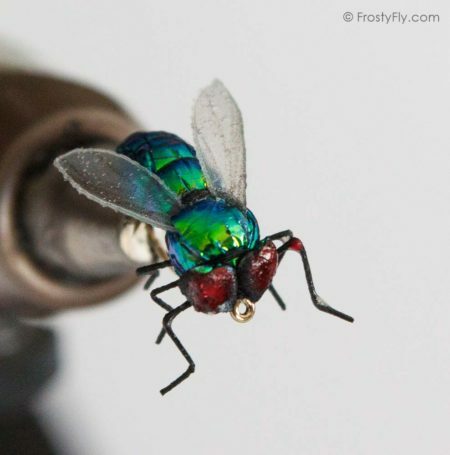 These flies like shady places and can be also found on outer walls of buildings. 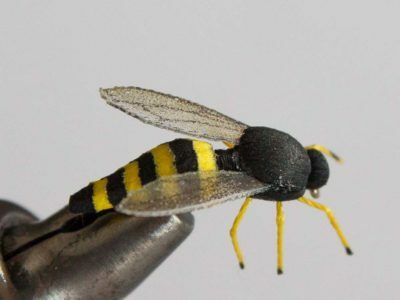 Bottle flies breed during the warm summer months, when they are most active, making it the best time for fishing these fly patterns. 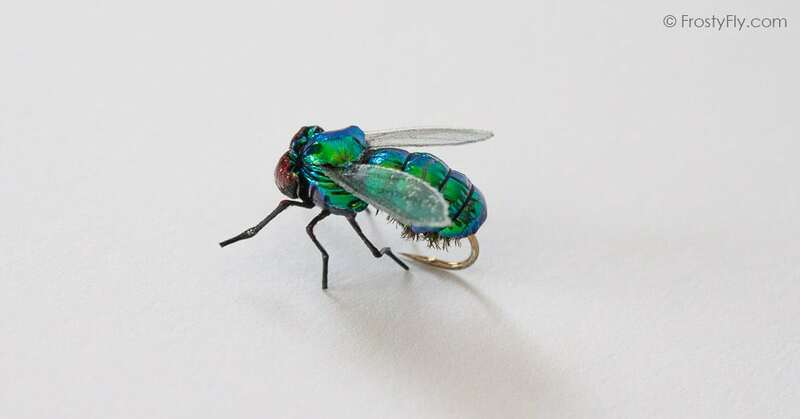 These are great flies to use on streams near farms and meadows, near livestock, as well as near old sheds and cabins. Breezy summer afternoons are the best times to use this pattern. As they account for a good protein serving, hungry trout are not going to pass these ‘happy meals’. 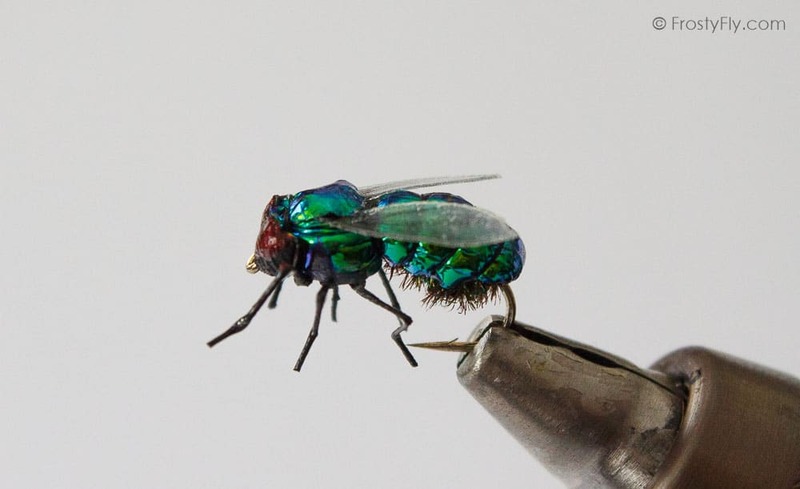 Bottle fly is a great trout dry fly that will get you some serious fish during hot summer months!